Take in the beautiful sights of Cambridge and surrounding countryside as you cycle through the city’s famous streets and beyond – without even having to leave the tent at the Cambridge Beer Festival. Visitors to the festival can enjoy a free virtual cycle ride at Greater Cambridge Partnership’s green-screen cycling experience between 12-3pm and 5-7pm this Thursday. Visit the GCP stand to find out more about improvements to the local cycling network. Yesterday evening, Roger Protz, globe-trotting beer writer and Good Beer Guide editor, visited the Cambridge Beer Festival. 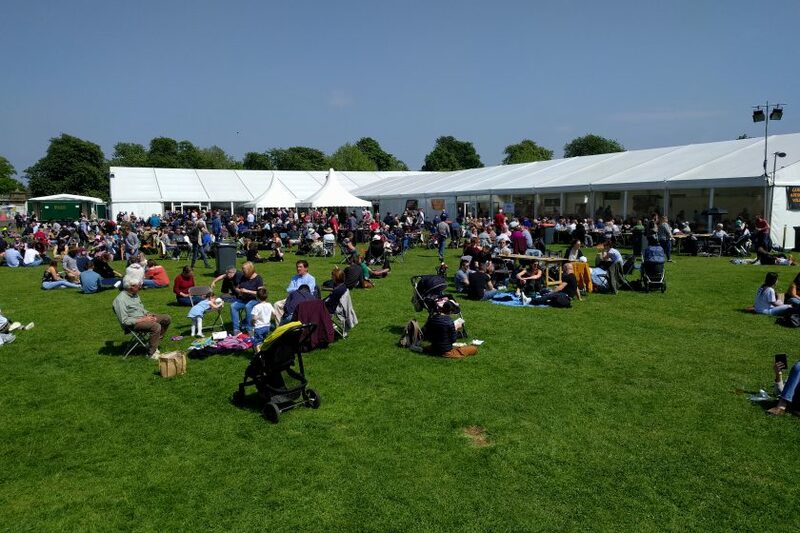 Take a look at his review: “Cambridge Beer Festival is one of the best“.